Questions and/or comments can be directed in English, Swedish or Dutch to: info[at]photosynthesis-in-nature.com (replace the [at] with a @). The origin of the word photosynthesis is a combination of the Greek words "photo" (meaning "light") and "synthesis" (meaning "putting together"), so it approximately means "putting together with light". It is the well-known process by which a large amount of life on earth creates energy by using sunlight to convert carbon dioxide and water to oxygen and carbohydrates. But I also thought it was a suitable name to describe what I love doing the most, namely wandering about in nature with my camera, preferably in combination with my beloved tent or hammock. After all, photography is all about working with the available light, and trying to make decent pictures by using this light. Part of these photos are collected under "Galleries". The majority of them are available via the Swedish stock agency Azote (www.azote.se), in which case they are linked to the corresponding pages at Azote via the green buttons ( ) below the pictures. • To me, photography is the ultimate combination of creativity and technical nerdiness. As a result of my interest in the technical aspect of photography, I have been collecting and writing down information about photography, and that can all be found under "Photography". • Experimenting with all kinds of photography related stuff seems to be a neverending story, and a lot of these experiments have been collected in "Experimental" part. • And then there is the "Optics" part, which is a collection of photos that I have managed to take of all kinds of optical phenomena so far, something which I have been intrigued by for a long time. My name is Roel Wijtmans and I was born and raised in the Netherlands. Since 2010, however, I am fortunate enough to be able to call the mountains, lakes and endless forests of Sweden my home and playground. I have no formal education in photography, but my obsession for nature photography has made me spend many, many hours reading, experimenting and learning. Both nature and photography have been passions for a very long time and the evidence is shown on the right. 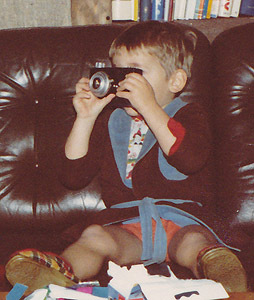 That's me at the age of two, taking a picture of the only wildlife available to me at that moment, my father! 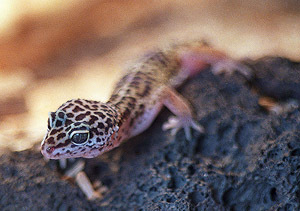 Of course, this was far from serious business, but I really started discovering photography in my early teens when I started using my father's old Ricoh SLR to take pictures of my pets, like the leopard gecko below. After that, both my interest in nature and in photography got more on the background for various reasons, but a trip to the west of the USA reignited those interests. I ditched my digital compact camera and picked up a second hand analog SLR camera and started shooting with diapositives, which is a great way of learning photography since it is so unforgiving. Making a mistake probably means that you'll end up with a useless picture, so you think twice before pressing the button. But the digital virus has also infected me, and I am now shooting digital again. 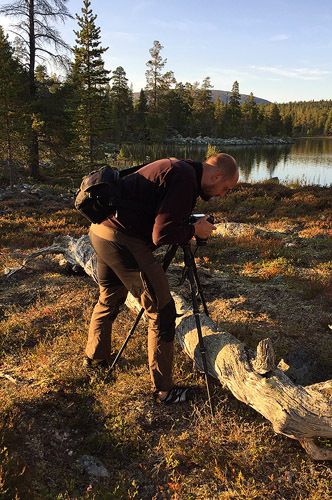 Although digital photography does have a somewhat less magical feeling to it, the immediate feedback is a great tool for challenging pictures and notoriously impatient persons like myself. This site uses a couple of cookies and some parts will not work properly if you have cookies disabled. None of the cookies are used for marketing or advertising though, they are here to make your visit to this site more convenient. All cookies will be saved for 14 days before automatically being removed from your computer.